Every Month WIFM Pittsburgh will recognize the talented and hardworking women in Southwestern Pennsylvania’s television and film industry each month. If you would like to nominate a woman that you know, please submit a short essay here describing some her background and successes working in the industry. Please also include a photograph. Note: All qualifying woman must live and/or work in Southwestern Pennsylvania. 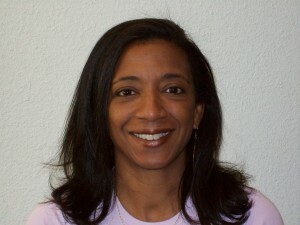 Minette Seate is a senior producer at WQED Pittsburgh. Throughout her career she has written and produced a range of television programs from the acclaimed weekly talk show “Black Horizons” – the longest running minority affairs program in the U.S. — to Emmy Award winning documentaries, many of which have focused on Pittsburgh’s African American community. She has written and produced for commercial print, radio and the web, as well as appearing as on-screen talent in a number of productions. In 2016, Minette worked as Coordinating Producer on “August Wilson: The Ground On Which I Stand,” part of PBS’ nationally broadcast “American Masters” series. Minette’s most recent project was “Friends and Neighbors” an intimate look at the lasting legacy of children’s television pioneer Fred Rogers. In 2018, she completed the Emmy-nominated documentary “Authentic Lives,” focusing on Pittsburgh’s transgender community and the struggle for equity and inclusion. Other productions include the Emmy nominated Live broadcasts “State of Black Pittsburgh” and the “THINK” community affairs series. She is also the host and producer of the weekly film series “Filmmakers Corner” airing Saturday nights on WQED. Awards: Minette was awarded a 2012 Mid-Atlantic Emmy for the documentary “Pitch Perfect,” part of the African American Men & Boys series, funded by the Heinz Endowments. She was also awarded an Emmy for the Black Horizons special “The County Jail” and has been Emmy nominated several times. In 2017, she received the Pittsburgh Black Media Federation Robert L Vann award for “The State of Black Pittsburgh.” And in 2016, she was awarded a Golden Quill Award for the documentary “Why Not Wilkinsburg?” Seate also received the 2006 Pittsburgh Black Media Federation Award for “In Country: A Vietnam Story” and a Telly Award in 2005 for “Torchbearers.” She was selected as one of the New Pittsburgh Courier’s 2013 Women of Excellence and was a member of the premiere class of Pittsburgh Magazine’s 40 Under 40. Minette is a proud product and supporter of Pittsburgh’s arts and media community. Women in Film and Media presents several scholarships to women from Southwestern Pennsylvania enrolled in a film or television production curriculum. The scholarships are presented in connection with the annual Opal Awards that honors high achievement in women, in film and television.